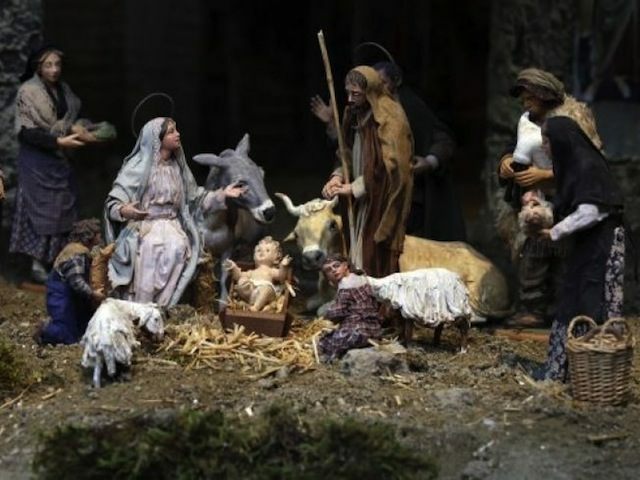 A recent CNN article claims that Christians who take the nativity story seriously should draw parallels between the birth of Christ and the waves of Muslim migrants washing over Europe and other parts of the world. Writer Jay Parini says that “those who care about the practice of their faith keep Jesus front and center,” which means focusing on his status as a refugee, comparable to today’s immigrants. “It’s because of his extreme situation, a newborn on the run, a refugee who must flee with his parents to Egypt to escape persecution and death, that Jesus stands for all political refugees, all those in despair of having a place to lay their head,” he said. “I don’t believe it’s possible to imagine a Jesus who would not welcome refugees with open arms, who would not fight hatred with love,” he writes. Though he claims not to advocate “vague, wishy-washy, ‘liberal’” ideas, Parini adopts a radical pacifist position at odds with the Christian tradition of responsible statecraft and defense of the common good. “You can’t defeat ISIS with weapons, with boots on the ground,” he says, because the war on terror is a war of ideas. “The defense of the common good requires that an unjust aggressor be rendered unable to cause harm. For this reason, those who legitimately hold authority also have the right to use arms to repel aggressors against the civil community entrusted to their responsibility,” it says. The Catholic Catechism, along with teaching of other Christian communities, stresses the responsibility of civil government to protect its citizens, and this affects the vetting of potential immigrants, especially in periods of high threat levels. “The efforts of the state to curb the spread of behavior harmful to people’s rights and to the basic rules of civil society correspond to the requirement of safeguarding the common good,” the Catechism reads. Jesus taught his followers many personal attitudes such as “not to resist the evildoer” and to “turn the other cheek,” but the Christian Church has never seen in this a principle for the organization of society or the way nations are to conduct themselves in the face of aggression. All Christians are indeed encouraged to be welcoming to strangers, to visit the sick, to feed the hungry and to reach out to all those in need. But this must be done in such a way as to not endanger one’s fellow citizens or to bring harm to society. Sentimental Christian piety, especially when used as a political subterfuge, is not only bad public policy, it’s bad Christianity.